In a previous article I showed how to get and install an SMIME certificate. Now let’s look at installing it into Mail. It’s really, really hard. First, open Mail. Then, click on the Mail menu and select Preferences. Then click on Accounts. Then click on the account you got an SMIME cert for. Then, in the TLS box, select the certificate you want to use. Next, go to compose a new message. You will see the little disclosure triangle to the left of the From dialog. Click on it and then check the box for the lock and the icon to the right of that, meant to look like a Beholder from Dungeons and Dragons. Beholders see well, so they can see if you’re the person who really is the person allowed to send the email. The lock encrypts email (provided you have a certificate for all recipients) and the eye of the beholder icon signs messages. Once you’re happy with your checkboxes, click on OK. Now, in your new email message, use the icons. Sign or encrypt. If you don’t have a certificate for a user, have them sign an email and send it to you. When you read their email you should then have their public key in your Keychain. Now, take your 100 sided dice and take the rest of the day off (after all, you just figured out how to make email more secure for your company). Also, you may notice that in these screens I’m using MobileMe certs. 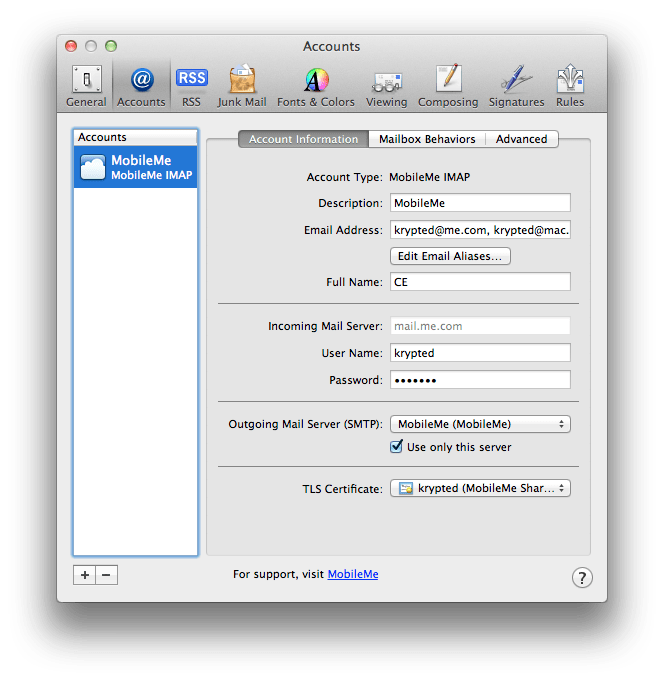 If you use the System Preferences pane to install MobileMe into your account then you’ll be greeted by the cert automatically being installed into your keychain for you. 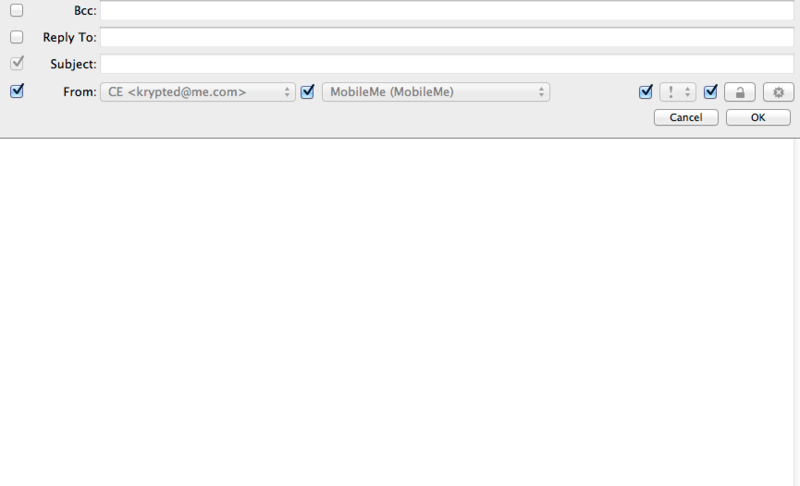 So for MobileMe users, you don’t even need to go get a 3rd party cert. I also use this on my work email, but didn’t want to put those screens in here (after all, I did misplace my tin hat and would hate to get hax0r’d by government goblins before I can track it down). Flow is a nice little FTP client. But it also supports WebDAV and SFTP as well as Amazon’s S3 and mounting an iDisk from a Mobile Me account. Unlike JungleDisk it doesn’t seem to mount S3 as an actual disk in Mac OS X, but it can be used to take files from iDisk to S3, which is fairly interesting. Flow also supports discovering all of the local services over Bonjour, which can be pretty helpful. Overall, it’s a nice little application that’s pretty sleek and I look forward to seeing where they go with it.